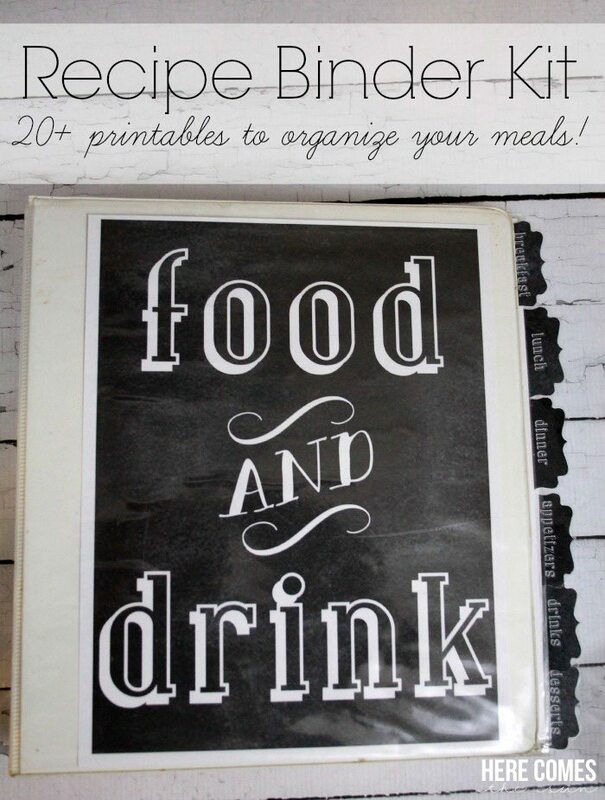 This Recipe Binder Kit will get you organized and ready to cook! 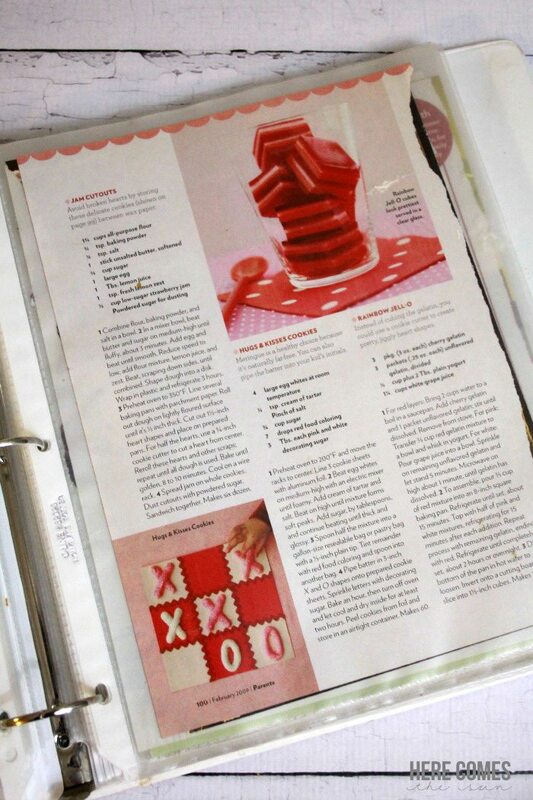 I have this 3 ring binder that I have been using as a recipe binder for a while now. It was sad and plain looking and not very organized. Until the other day when I made my recipe binder printable kit. Now it looks fabulous, is completely organized and ready to be filled with amazing recipes. And I’m offering it to you for FREE! 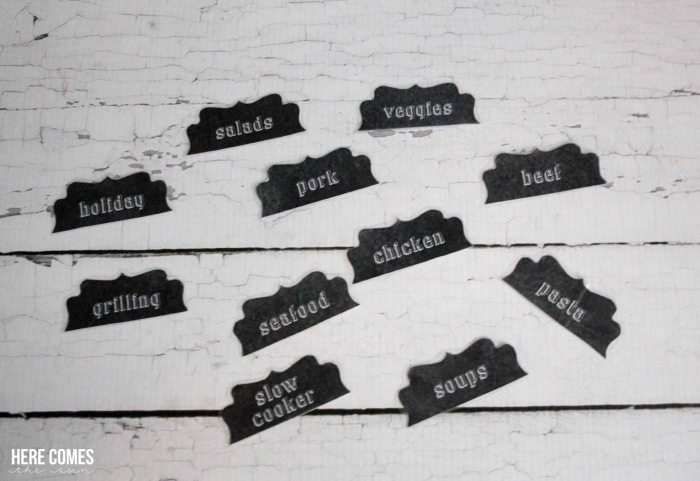 The recipe binder printables are a fun chalkboard theme. Here is an example divider page. 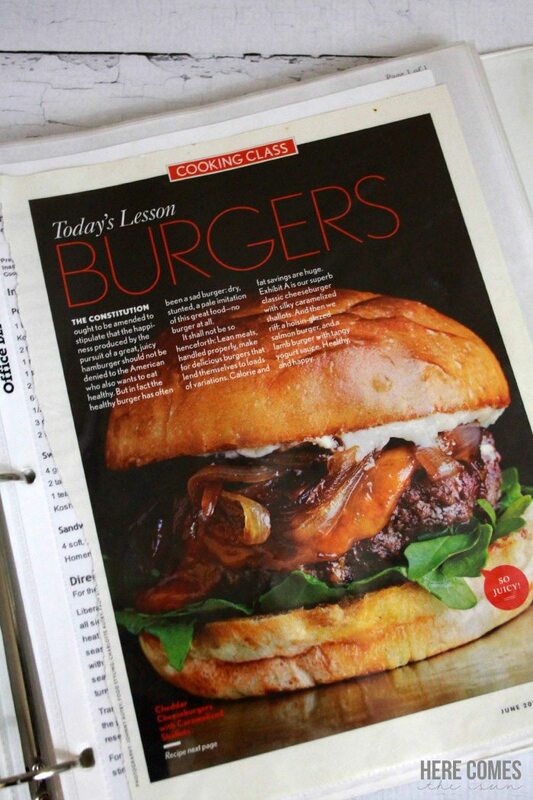 I like to tear recipes out of magazines so I use plastic page protectors and slide the magazine pages in. And when grilling season comes, there is a section for that! Are you drooling, because I am! And I’ve also made a section for holidays.. The download is a zip file and includes the cover page, all the dividers and all the tabs. 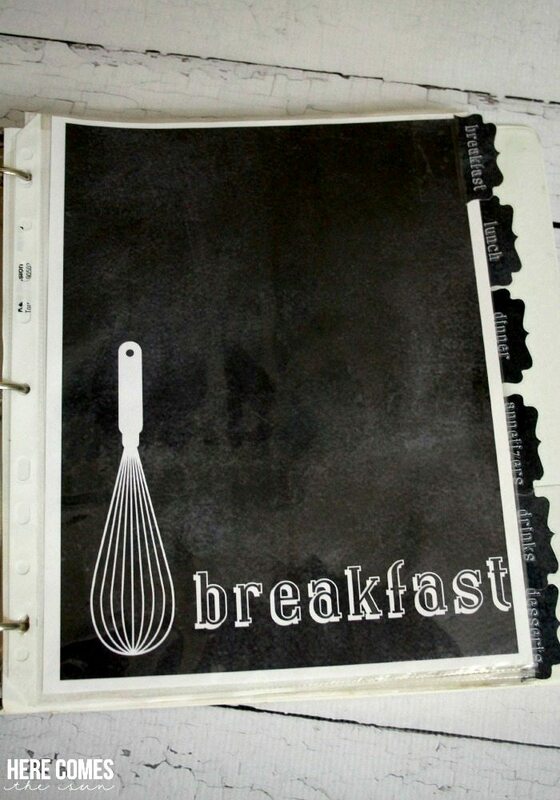 But, you are able to pick and choose individual files to print in order to totally customize YOUR recipe binder. 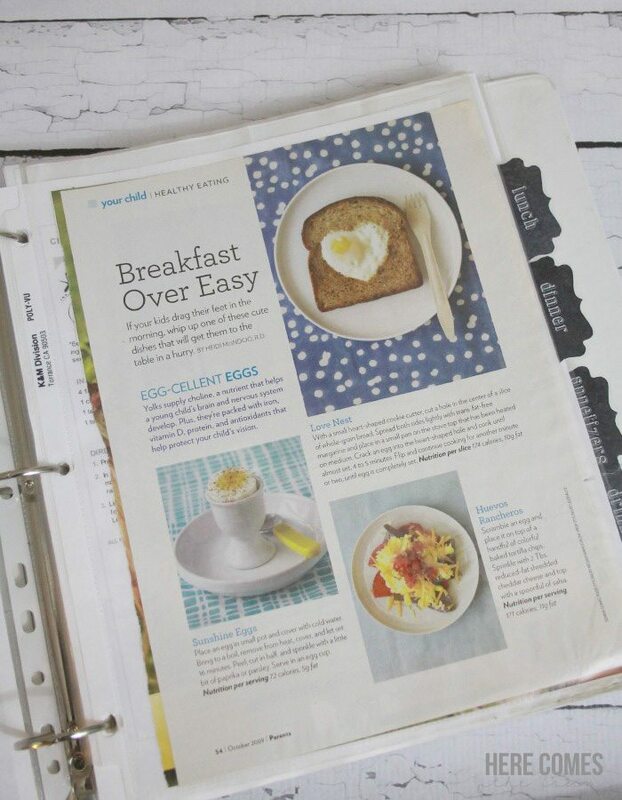 Download your Recipe Binder Printable Kit here! Print as many or as few of the dividers as you like. The tabs come all on one page. If you are going to print out the entire kit, I recommend taking it somewhere to get it printed. 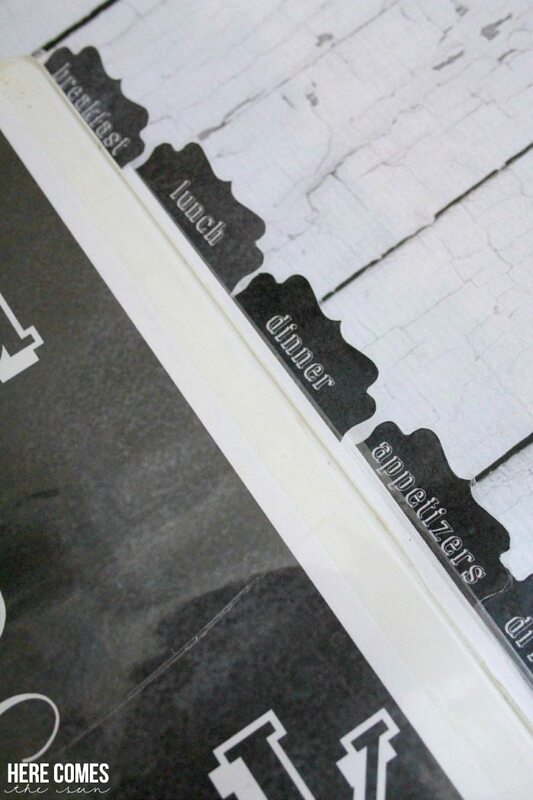 With the chalkboard background, it can use up a lot of ink on home printers. These are great! Do you know what font you used for the tabs? I’m just asking so I can have them all matching. Hi Helen! The font is Covington Shadow. I LOVE this. I think the one flaw is I really need a baking and muffins/bread page. I have some recipes that need a home. If this is ever added or could be made please message me! I love these. I agree, a bread/baking tab would be super helpful.